The standard base of our Metrological service includes multi-purpose calibrating devices intended for calibration and verification of linear-angular, radio-electronic, optic-physical, acoustic and electric values, pressure and vacuum. 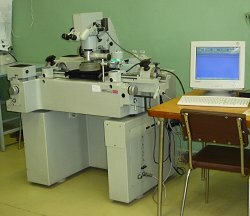 In 2013 году our Metrological service passed reaccreditation in the RF Federal Accreditation Service in order to provide uniformity of the measuring devices in calibration. In 2016 our Metrological service was accredited in the RF Federal Accreditation Service in order to provide uniformity of the measuring devices in verification. 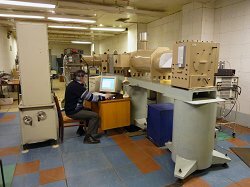 In addition our Metrological service has a positive expert opinion of FGUP "VNIIFTRI " for testing equipment certificate based on State Standard PB 0008-002-2013. Progress in control and certification methods of optical devices, application of high-accuracy measurements of optoelectronic devices and their elements make it possible to implement all the raised tasks. The measurement and calibration are taken on the custom-made installations by Chief Metrologist Department except verification and calibration of standard measuring tools.